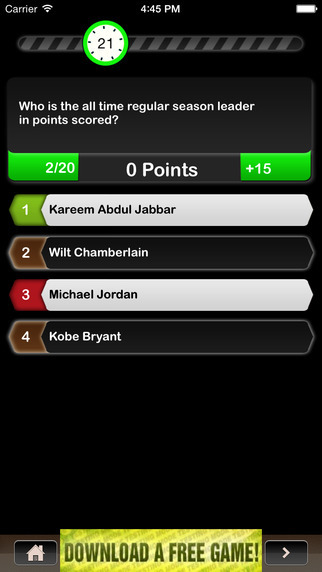 Basketball Trivia Guru is a Digital Destination with Pro Ball specific trivia for the avid fan. Custom Style Scoring - Retro Sound Effects - Halftime Entertainment! Harder questions have more points. You get more points the faster you answer. Check your score and ranking in Game Center, and challenge your friends on Facebook and Twitter. Live question bank updated for accuracy in real-time and new questions added. Screen shots will be updated, there are no advertisements in this paid version. Who wants to challenge themselves against the Master? 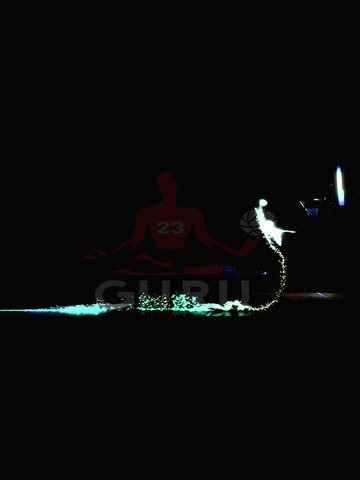 See if you are a Basketball Guru!